Over the past decade, Simon Van Booy has been collecting stories. Starting with these anecdotes told to him by strangers, he has woven his newest short story collection with vivid, graceful prose and a keen eye for character. Taking readers into the innermost lives of everyday people, he explores the strange ways that grief and happiness can manifest themselves suddenly in the course of our daily lives, and the profound beauty found in memories. From a blind pianist searching for a duet partner to a downtrodden boxer who shows unexpected kindness to a mugger. And occasionally, as with a man seeking a cure for middle age depression or a couple grieving the loss of their daughter, Van Booy’s stories take a turn into the fantastic, showing the miraculouspower of love to shape our lives. Simon Van Booy is a master storyteller. His award-winning short stories feature a beautifully rendered, diverse cast of characters and settings that the Los Angeles Times has described as being like paintings the characters walk out of, and keep walking. 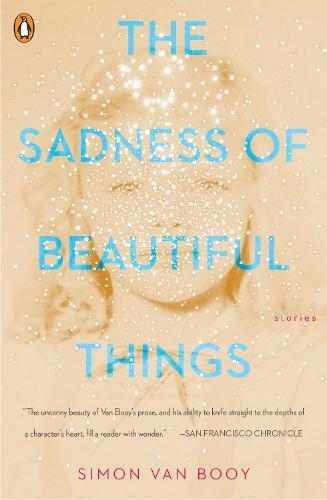 Taking readers across his characters' lives and around the world, The Sadness of Beautiful Things examines how the echoes of personal tragedy can shape us for the better.